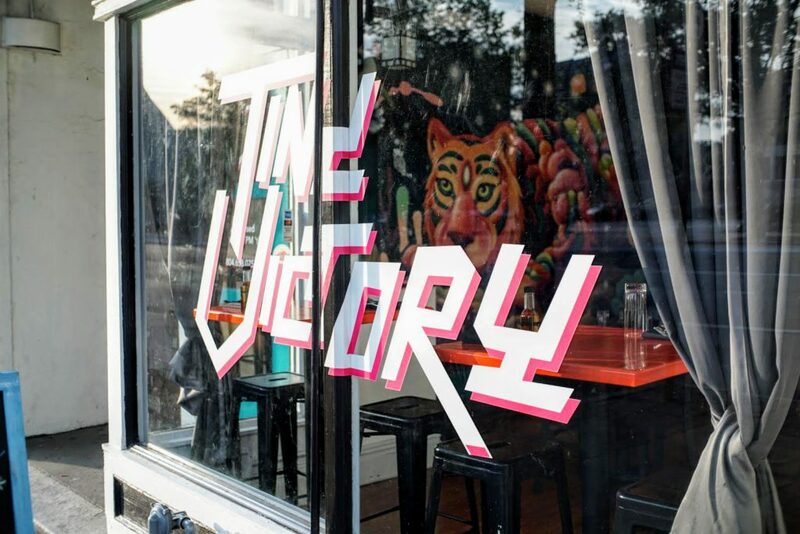 I was able to make some time for Tiny Victory’s grand opening earlier this week and I wanted to share my experience (as well as some pictures of course). I’m excited for what this little restaurant will serve up and will definitely be back in the future. 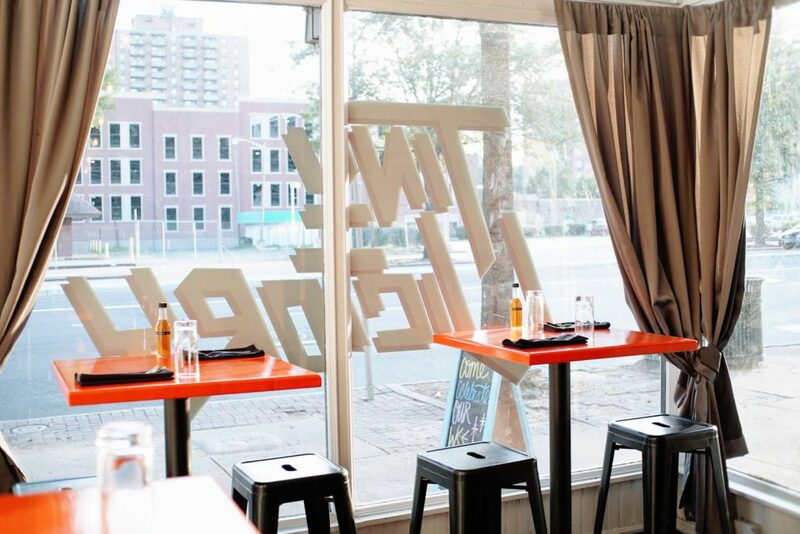 So for a long time, it’s been relatively easy to get your Vietnamese and Chinese fix. There are tons of Vietnamese restaurants starting with “Pho” and ending with a number–usually like 75 or 79–and even more Chinese restaurants, both take-out and sit down. Just go to New York and you’ll really be able to get a taste of both those cultures easily. In the recent years, Korean food has really taken off as well. People are starting to understand what gochujang (fermented red pepper paste) and kimchi taste like. Korean BBQ places are popping up left and right and when you used to have only one not-so-great option, you now have many delicious options, all with their own specialties, making it hard to choose where you and your friends might wanna go. And don’t even get me started on Japanese ramen. 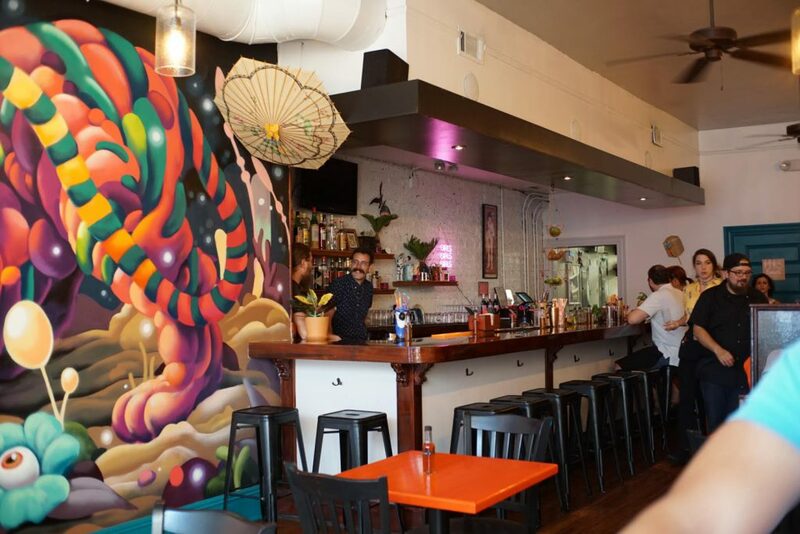 You’ve probably heard stories of people waiting 45 minutes for a table at a ramen joint. Then we have Filipino food, which there’s always been a hole in the Asian food web. There are a lot of Filipino in America! So why aren’t there many restaurants? Maybe it was just that America’s palate wasn’t ready for the Philippines’ sour and bitter notes. Maybe America was still caught up to its neck in ramen noodles and spicy pork belly. My experience to Filipino food before this was mostly just Jolibee’s. I’m a huge fan of their Filipino-style spaghetti, being a little sweeter since ketchup is a huge component and chunks of hot dog and ground beef. So much of fan that I made it at home once and prepared so much that I got sick of it by the end of the week but somehow crave it right now. But Jolibee’s is all the way in Virginia Beach, 2 hours (or more) away from Richmond, VA. So it’s been hard to get Filipino food. You’ve probably seen YouTube/Buzzfeed videos about Filipino food but have never been able to try it because you don’t live in New York or California. It’s always been out of reach. It’s a perfect time for Tiny Victory to enter the playing field. 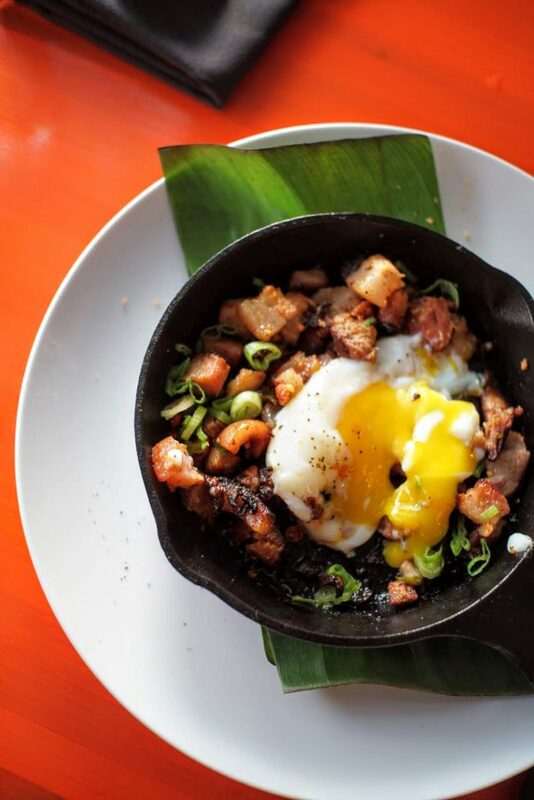 Asian food is on the rise and so is Filipino fare. Many (Anthony Bourdain for one) predict it will blow up insanely in the few years. We are by no means offering an authentic experience, but we want to be the bridge for people who are curious about Pinoy food. Our aim is pull you in for a memorable experience and have you seek out the authentic cuisine that influences us so heavily. 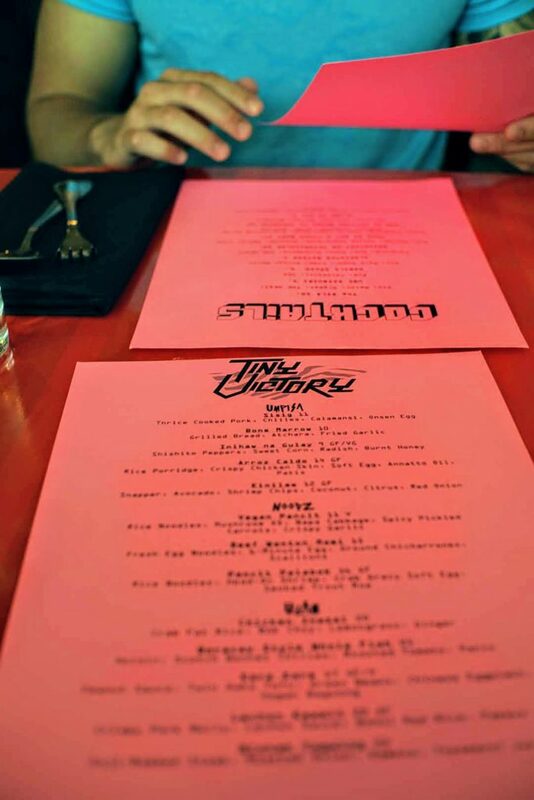 Tiny Victory’s menu is actually really short, which is perfectly fine. You won’t have trouble making a choice. There are a few appetizers, a few noodle dishes, and then a few large entree dishes, meant for sharing. To me, it was a little hard knowing what to order because some of the names of the dishes don’t mean anything to me. I recognized sisig and lechon, so I ordered those. My friend ordered the beef wanton soup. 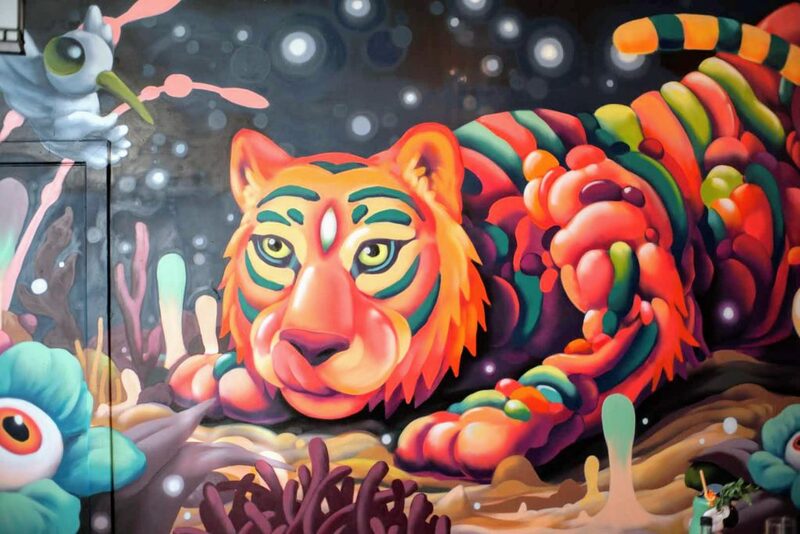 This was probably one of the most awesome murals I’ve seen in a restaurant. Bold and brash, as some may say. Trendy and memorable. The rest of the restaurant is pretty standard. It looked like the booths in the back may only seat 6 people? I can imagine myself here at the bar late at night with a few drinks, snacking away on some chicharrones with some friends. Of course, no restaurant is complete without some window seats with great lighting. This was my first experience with sisig so I’m not sure what I was expecting. Thrice cooked pork, both fatty and crispy bits, complemented with green onions and an onsen egg, as well as slight spicy notes from sliced red chili peppers. I believe it’s supposed to have calamansi squeezed onto it also for some hints of sourness but I did not taste much of that. 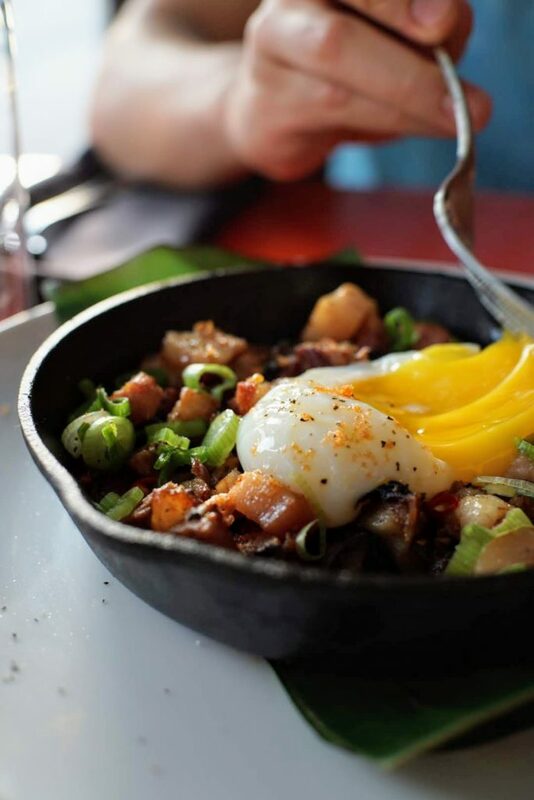 When it came out to me, sizzling and bubbling on a small cast-iron skillet, of course I touched the skillet and not the plate; I was just that excited. And of course, I saw that egg in the middle, asking to be popped. I don’t think I even got a “before” picture. So I thought it would be a soft boiled egg. My friend cut through it with a fork and we expected it to slowly run, down onto the pork and into the oil. But it didn’t. It was like a custard, which I had not seen before. Looking back at it, the menu described it as an “onsen egg.” And doing more research into it, Tiny Victory nailed it perfectly technique-wise. Now I ask myself, would an onsen egg or a soft boiled egg have worked here better? Well let me describe the rest of the dish first. The pork is flavorful. Like really. On some level, maybe too flavorful. I was telling myself a lot “this would be so perfect with some white rice” but the rice wasn’t there sadly. This could easily turn from an appetizer that you might not want to eat too much of to an entree you can’t stop eating with some rice. So back to the egg. The egg was something that gives the dish a little base, something in place of the rice that I wanted. An onsen egg has a lot of body to it. It’s creamy and perfect in bites portioned with egg and pork but it might not be every bite. With a soft boiled egg, I can imagine myself cutting through it and letting the yolk run everywhere. I’d mix it up and every bite would be coated in a beautiful yolk. I admire the technique that is required to boil an egg like this! But in conclusion, it would be nice to have something to offset the strong flavors of the pork. 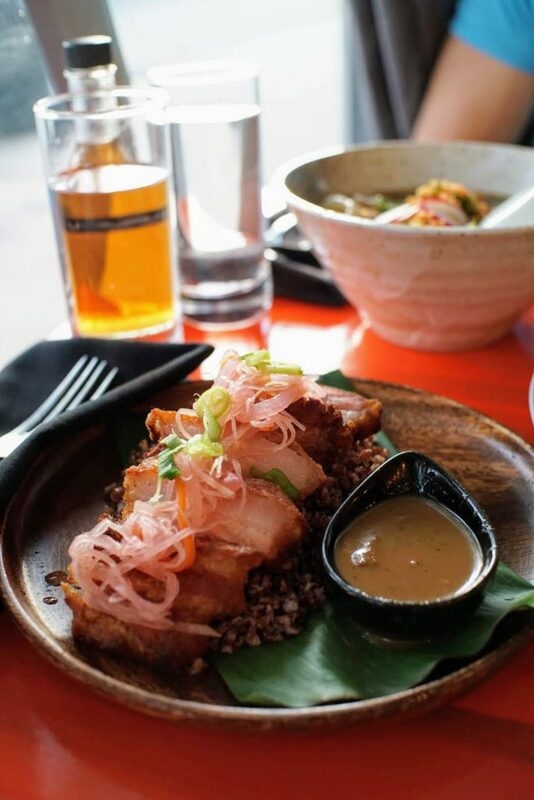 My main dish was a plate of super crispy lechon, served with brown rice, thinly sliced pickled onions (or maybe they were radish), and sauced up with a sweet, slightly sour calamansi sauce. I don’t think I’ve ever had lechon before. And if I did, it wasn’t memorable like this. 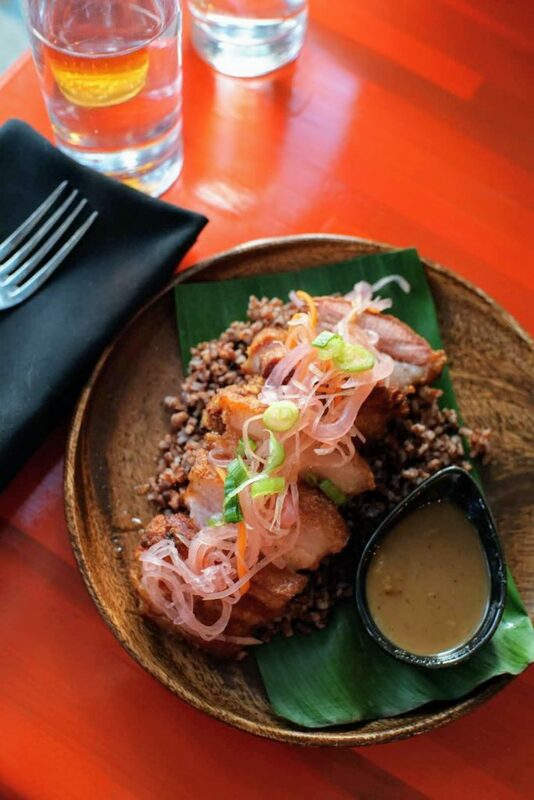 Tiny Victory’s lechon comes out beautifully arranged on a banana leaf with a bed of brown rice. 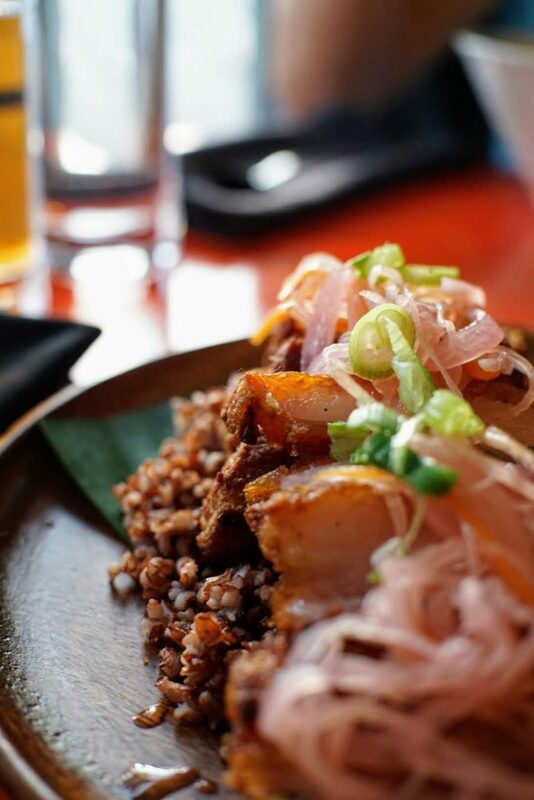 The pork belly itself is crispy on the exterior and when you bite in, you get this layer of unctuous fat that you can cut through like butter then finally a layer of tender and juicy pork. On top of all of this, you have to be spooning on some of the calamansi sauce onto your pork. This sauce is really the star of this dish. Once it’s touching your pork, it adds such a lightness to this dish that cuts through the heavy fattier points and makes this dish whole. It is a little sour, a little sweet, a little peppery, and very unique. I would love to get a bottle of this and pour it over chicken or pork at home. The banana leaf is probably pays homage to the kamayan-style feasts. If you’ve never experienced a kamayan dinner before, they are huge gatherings where tons of food is placed on banana leaves for everyone to share and meant to be eaten with your hands. Seeing this, I thought “this is wonton soup, I’ve had this tons of times before” but I didn’t think I would be so surprised. 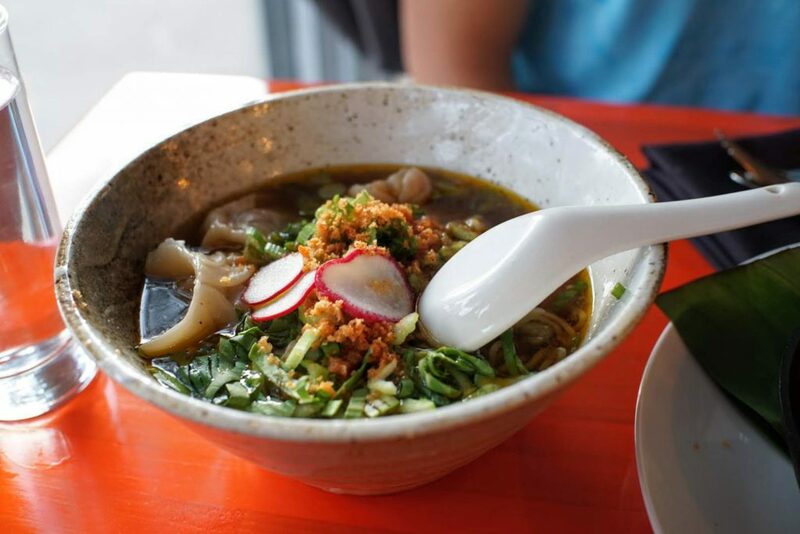 The broth is light and hearty but also slightly sweet and has its own unique flavors. You can’t compare this to the wonton soup you’ve had tons of times before. The noodles are chewy and springy, perfect for a dish like this. The food here was awesome and what is a great peek into the world of Filipino cuisine. I would definitely go back, now knowing when I might be expecting. By asking for just a little bit of rice, the little bit of saltiness from the sisig that I had a problem with would be solved. It was obvious that guests are meant to share the lechon, just by the way it was served. So maybe if I were to come back, I’d come back with more people and we’d order more things off the shareables section of the menu to try more of what Tiny Victory has to offer. Went here tonight. 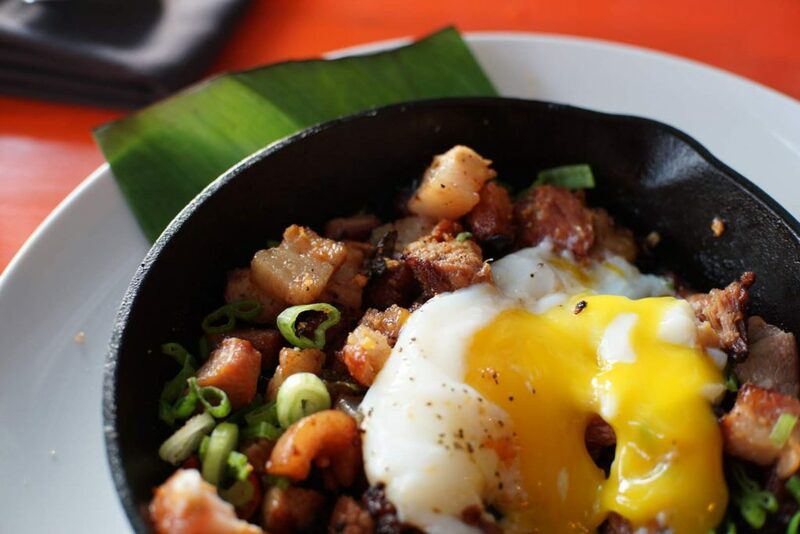 They actually serve you rice with the sisig now! Maybe they took your advice.